For the King relates the circumstances of the Rue Nicaise conspiracy, a failed attempt to assassinate Napoléon Bonaparte on Christmas Eve 1800. Indeed Napoléon had a surfeit of political enemies. They fell into two opposite camps: the Chouans were Royalists and wanted to restore King Louis XVIII to the throne, while the Jacobins yearned to return the ideals of liberty and equality promoted by the Revolution. Their ultimate goals couldn’t have been further apart, but their immediate aim was the same: they wanted to rid France of Napoléon Bonaparte. Thus, after the Rue Nicaise attack, it was not obvious at all who, of those two factions, were the culprits. Many Royalists and Jacobins were jailed together at the Tower of the Temple, named after its first owners, the Templars. Within its grim walls had been jailed the royal family: Louis XVI until his execution on January 21, 1793, Marie-Antoinette until her transfer to La Conciergerie in August of the same year. Madame Elisabeth, Louis XVI’s devoted sister, had stayed behind until her turn had come to face the guillotine. There too had poor little Louis XVII died in 1795. His elder sister Marie-Thérèse-Charlotte had stayed there until she was exchanged against other prisoners and freed a few months later. 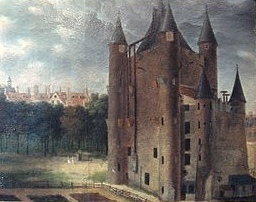 In 1800, all royal prisoners were long gone, but the medieval Tower of the Temple, with its pointed turrets, remained the political jail of choice for all prominent opponents to Bonaparte’s regime. Many of them were held there indefinitely without trial. Some only left the Temple the face the summary proceedings of a Military Commission and, later the same night, the guns of a firing squad. In FOR THE KING, I have my protagonist’s father, Old Miquel, an imprudently outspoken former Jacobin, jailed at the Temple after his arrest. I describe the camaraderie between him and the Royalist prisoners. Old Miquel is a fictional character, but I didn’t make this up. I based it upon the Memoirs of the Marquis de La Maisonfort, a Royalist secret agent who spent much time at the Temple himself. Unlikely as it may sound, the shared loathing of the Royalists and Jacobins for Bonaparte brought them together at the Temple. The tower, convenient as it was as a jail in the heart of Paris, still made Napoléon uneasy. It had become a focal point of Royalist sentiment, a reminder of the tragic ends of the royal family, a place of pilgrimage. The very existence of the ancient building was a political threat to the regime. In 1808 Napoléon ordered its demolition. Only the outlines of the turrets remain now, next to the City Hall of the 3rd Arrondissement of Paris. My thanks go to She Read A Book for hosting this post! 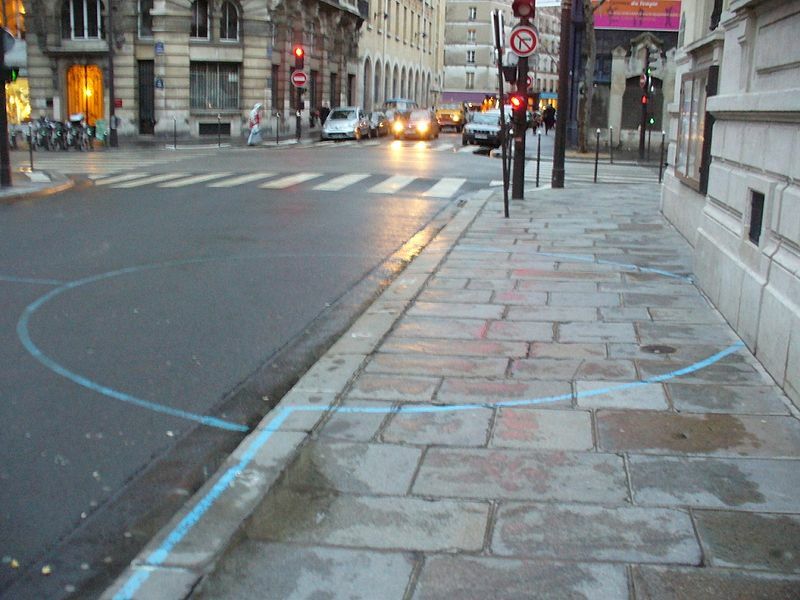 Photograph of the outline of the Tower of the Temple by Parisette via Wikimedia Commons.